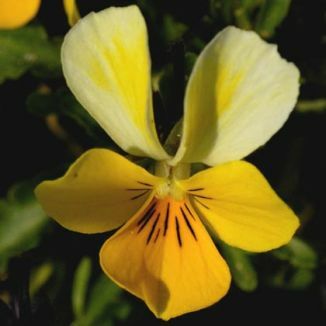 A wildflower of dry grassland and sandy soil, this member of the well-loved Pansy family is a perennial plant with long-stalked yellow flowers (12-25mm across) which are larger than those of Viola arvensis or Field Pansy. There are two top petals, slightly overlapping, two wing-like side petals and a single larger petal. Clearly marked paths lead pollinating insects into the centre of the flower over which is a translucent fringe. Blooming from April to August, the petals are larger than the sepals and the flowers have short spurs. The leaves are toothed, oval with a heart-shaped base and the leaf-like stipules are pinnately lobed. 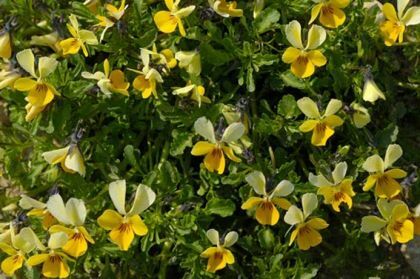 This is a native plant, also known as Dune Pansy, and it belongs to the family Violaceae. I first recorded this plant at Ballyteigue, Co Wexford in 2007 and I photographed it also. "I wish these 'Pansies' to be taken as thoughts rather than anything else; casual thoughts that are true while they are true and irrelevant when the mood and circumstance changes. I should like them to be as fleeting as pansies, which wilt so soon, and are so fascinating with their varied faces, while they last."